AVCHD, short for Advanced Video Coding High Definition is very innovative file based format that are usually used in playing digital recording and playing of HD videos. AVCHD has suggested and recognized by many users from different part of the globe. The very groundbreaking and high quality video format is made for camcorders. It is attuned with HD cameras like Panasonic. AVCHD makes use of recordable memory cards, DVD, non-removable memory card, and hard disk drives to record your videos accordingly. If you are a new owner or a user of a Panasonic camcorder, you might be wondering how to play and convert Panasonic AVCHD files in your computer. First, you have to know that it is very simple. Follow the guide below in order for you to know how to do it. As stated on the earlier part of this article, some Operating Systems can't support AVCHD files; therefore, converting it to a format that is playable in your system might be essential. 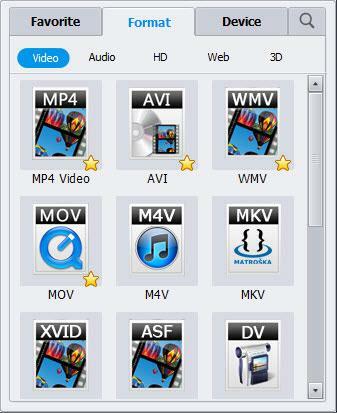 You can convert your AVCHD files using Wondershare UniConverter (originally Wondershare Video Converter Ultimate). To help you with it, here is the step by step instruction on how to convert Panasonic AVCHD file using Wondershare UniConverter (originally Wondershare Video Converter Ultimate) accordingly. Connect your Panasonic camcorder to your PC using your USB cord. Wait for few seconds until your computer reads the device. When the AutoPlay pops out, it means it's ready. Next thing to do is to copy the file or files from your device and save it to the PC. Left click the specific file that you want to convert and click copy. Create a folder for the file or just save it somewhere you like. Now that your file is copied to your computer, it's now ready for conversion. Launch the Wondershare UniConverter (originally Wondershare Video Converter Ultimate). Import the AVCHD file you want to convert to the program. You can do it by clicking the Open File… button found at the center part of the program panel. Locate the file and select it and click open. Alternative way to import your file is by dragging it from its source folder and the dropping it on the program panel. Your main intention is to convert your file into something that is playable in your computer. From the Output Format option at the right side of the program window, choose a format that is compatible with your system. One of the most ideal choices is MOV file. From the option select MOV. Note: Wondershare UniConverter (originally Wondershare Video Converter Ultimate) allows you to edit your video in order to enhance your viewing experience. To do this, click the Edit button found at the right end of the file you have imported. 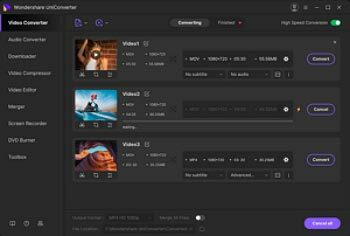 This software has basic editing features that allow you to trim and crop your video and also you can add effects, watermark, and subtitles on it if you want. This would be the final step. When everything looks good already, you have chosen the output format and edited it according to your preference, it's now ready for conversion. Click the Convert button located at the bottom right corner of the program window. The conversion will begin, wait for the slide bar to be full, that indicates the progress of your conversion. During that time, you have the choice of pausing and canceling the conversion if you want.